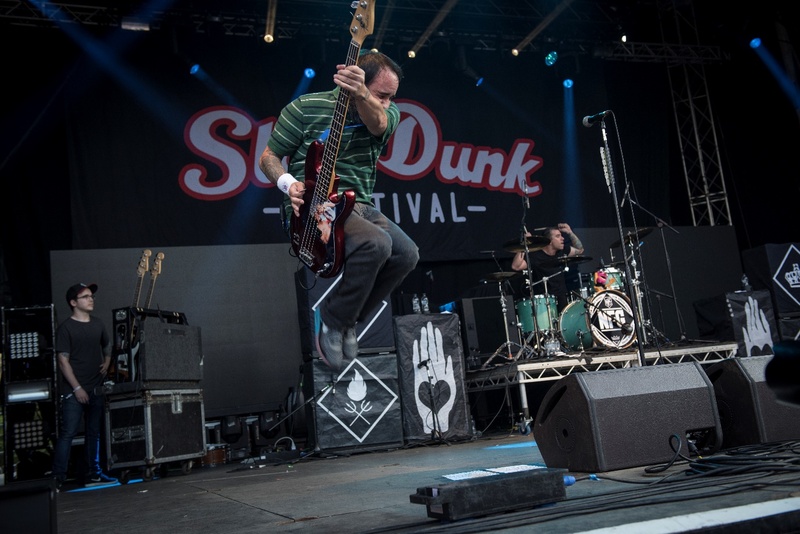 Slam Dunk Festival is famous around the world for bringing some of the biggest alternative acts to one giant, all-day festival. Think Warped Tour on acid, and you might be halfway there. 2016 marks an extra-special occasion for the huge event; as it’s now been ten years since its humble beginnings (well, as humble as you can possibly accuse something of being that features Fall Out Boy, anyway). Each year has seen the festival grow bigger and bigger, eventually reaching the heights it sees today, with events spanning across the UK. With shows in Hatfield and Wolverhampton having been added over the years, we chose to head down to the place where it all began – Leeds, in England’s North. Despite intense lines, claims of excessive underage drinking, and frustrating lockouts at some of the stages; organizers did everything they could to pull off such an event of this magnitude. From start to finish, we were spoiled for choice in terms of who to watch (which is only ever the sign of an awesome festival). Kicking things off at the heart of the action, we can’t honestly say we got a moment to ourselves all day… just the way we like it! 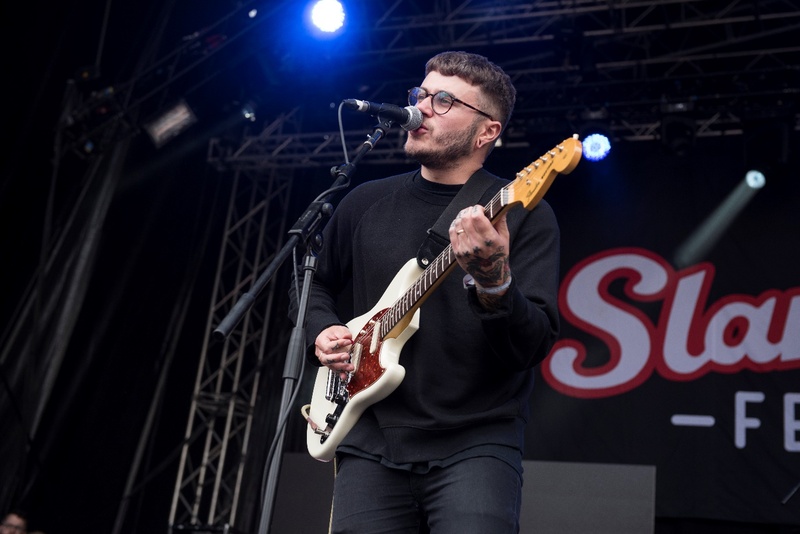 Moose Blood have achieved so much in such a short space of time, but opening the main stage at Slam Dunk is still a really, really big deal. American audiences will know them from an incredibly successful run on last year’s Warped Tour, whilst Brits will know them from, well, everywhere, unless they’ve been living under a rock. The sheer appreciation on the face of frontman Eddy Brewerton’s face when the crowd sing back their lyrics is simply priceless and you know – you just know – this is only the beginning of something special. We don’t say this lightly, but this lot really could be the UK’s answer to Brand New. Sticking at the main stage, next up is Young Guns, another British offering who’ve more than made their mark on the scene. By this point, the crowd is more than psyched up, and by the time they reach their bigger hits like Bones, everyone’s well and truly into the party spirit. 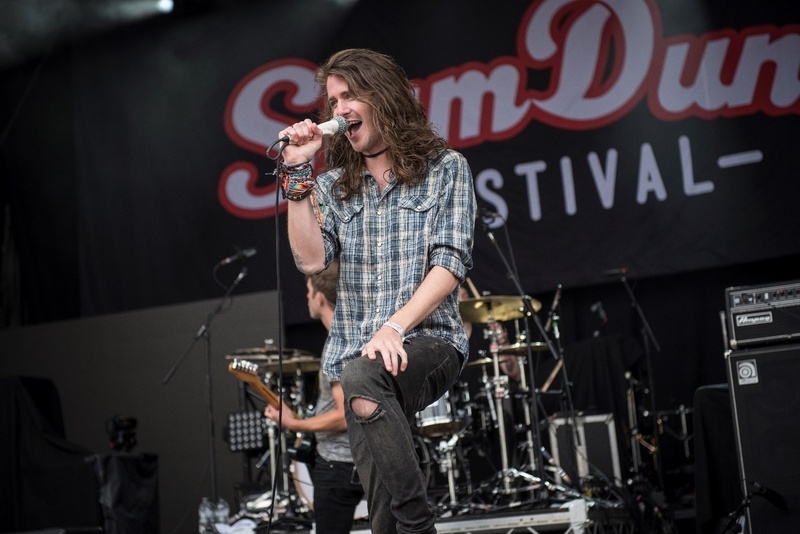 It’s Slam Dunk’s ability to source talent from around the globe which has made it so internationally renowned, and so when Mayday Parade take to the stage, the Americans make it known that they have landed! 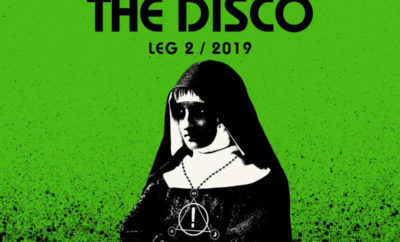 This is a band who’ve by now made it into the rock hall of fame, with their modern, scene kid classics transporting us instantly back to 2008. There’s no MySpace pages in sight this time around – only a few thousand British kids (terribly) attempting to replicate their accents, and a bunch of songs including Jamie All Over and Jersey which are now etched into our consciousness forever. In perhaps the biggest disappointment of the entire day, a technical error means that Yellowcard are unable to play Ocean Avenue in full. Considering how anticipated such a performance actually is, we’d be lying if we said it didn’t mar their appearance at least somewhat. However, we’ll give the band themselves their credit – there’s a reason we were all so gutted to miss out on such a treat. With talent in abundance the way they do; it’s only natural that their absence for half their set makes a mark. It’s a testimony to their tightness, which is evident in the material we are lucky enough to be able to hear. 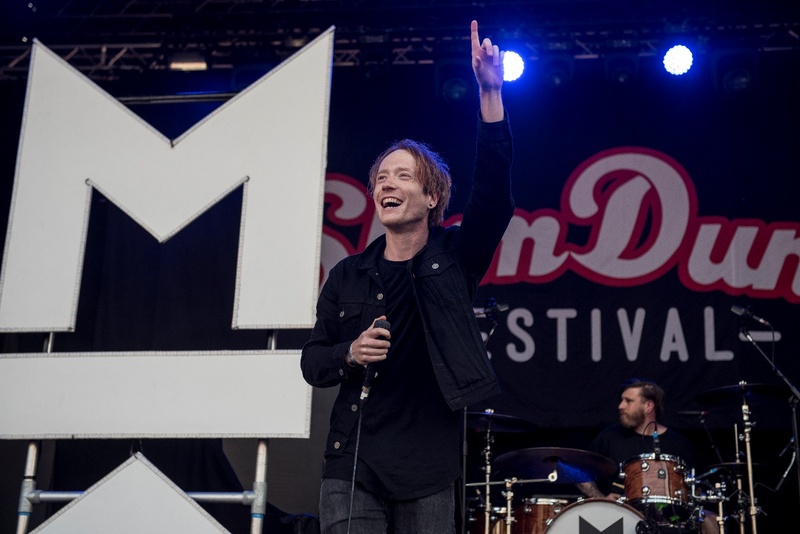 Mallory Knox just keep getting bigger and bigger, and their lofty billing on the main stage this evening really puts that fact into perspective. Their reception is infectious, and hits like Shout At The Moon and Ghost In The Mirror help to highlight to any onlookers as to why they’re doing so bloody well. The five-piece (including vocalist Mikey Chapman who’s got a little Lennon-like of late) demonstrate the potential of a bunch of enthusiastic British lads who love music and who just want to have fun. We haven’t had a damn bit to do with their success, and yet the pride resonating throughout the crowd at this homegrown-talent is evident. New Found Glory were made to play festivals like this, and we seriously hope that they never stop. Whilst their sound could perhaps have been better, the band themselves demonstrate the same togetherness that we’ve come to know and love over the years. 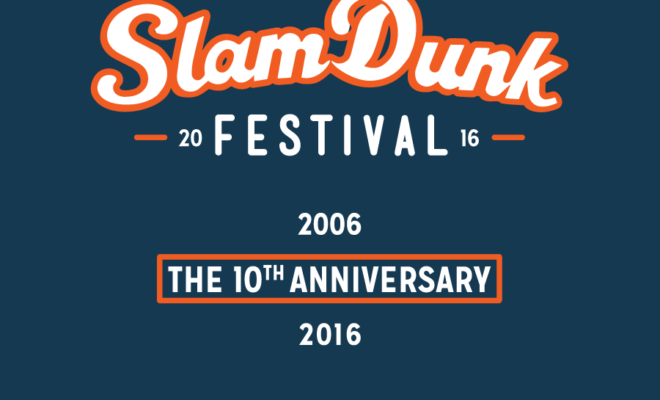 Slam Dunk is all about the pop-punk, singalongs, and tracks you can dance to. With NFG, you know you’ve got it all! We had to wait in line to see the The Starting Line at the Key Club Stage, but it’s a wait that’s well worth it (although we’ll admit, we did get a bit of a helping hand in this respect…). Still, they’re yet another modern classic of a band whose place on the line up today more than makes sense. By the time The Best Of Me begins, obviously there’s not one single person left in the room who’s not gone absolutely cray. 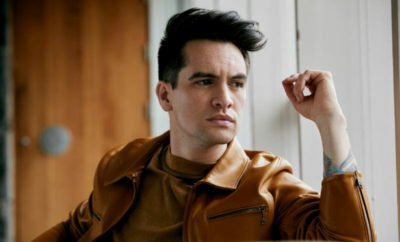 Of course, it’s Panic! At The Disco who truly steal the show – but did you really expect anything else? Panic! were making dance vibes cool waaaay before it was a thing, which was always helped along by the sheer brilliance of the lyrics and vocals. 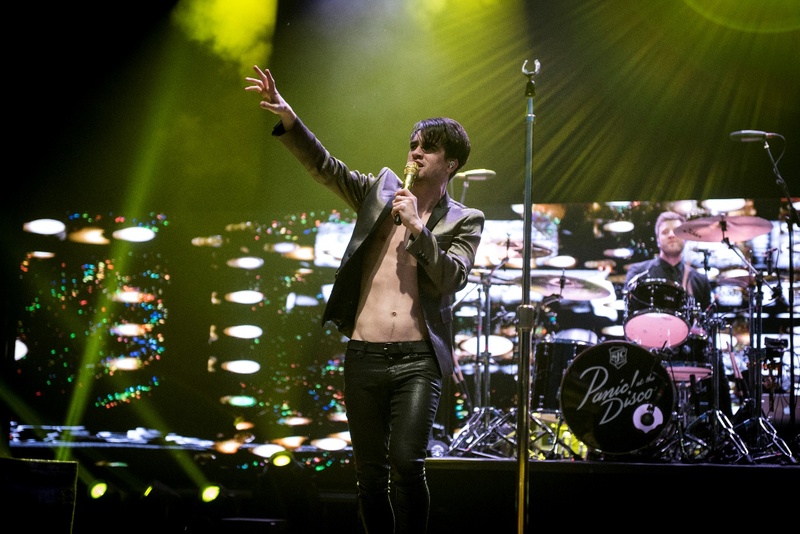 Their stage show is enough alone to blow everything else out of the water, but throw in their incredible repertoire, the calibre of which has stunned for over ten years now and (dare we say) Brendon Urie’s abs, this really is one for the history books. All in all? If you were there, you’ll know what we’re talking about when we say if you weren’t – well, you missed out. Cassadee Pope Releases “Original Love” Off Her New EP!